This adapter will allow .22 US attachments to be used on UK rifle rods. This adapter will allow .270 US attachments to be used on UK rifle rods. 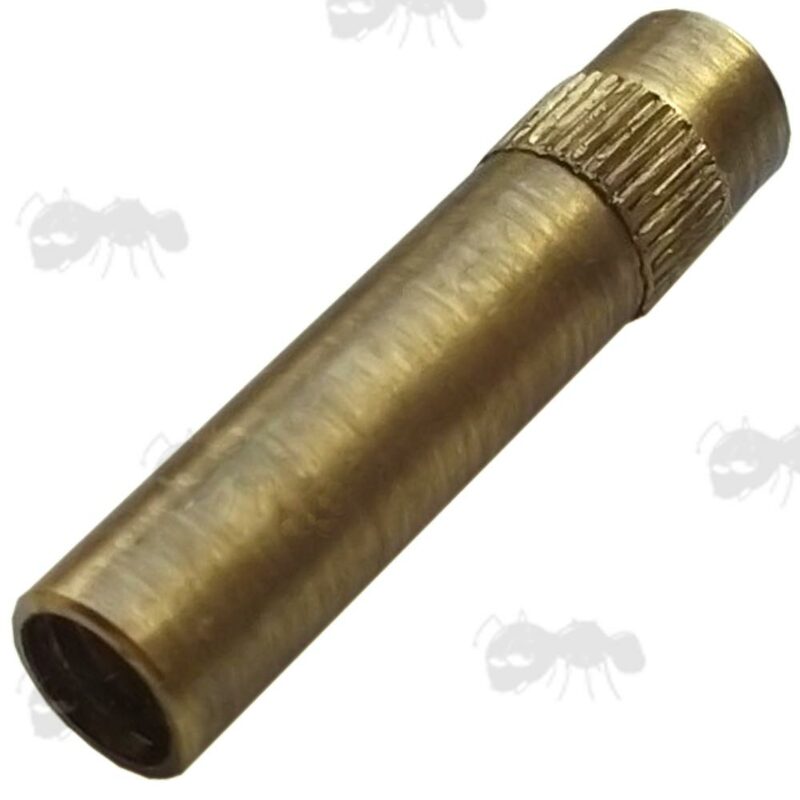 This adapter will allow female threaded US attachments to be used on UK rifle rods. A large range of adapters for rifle cleaning rods. 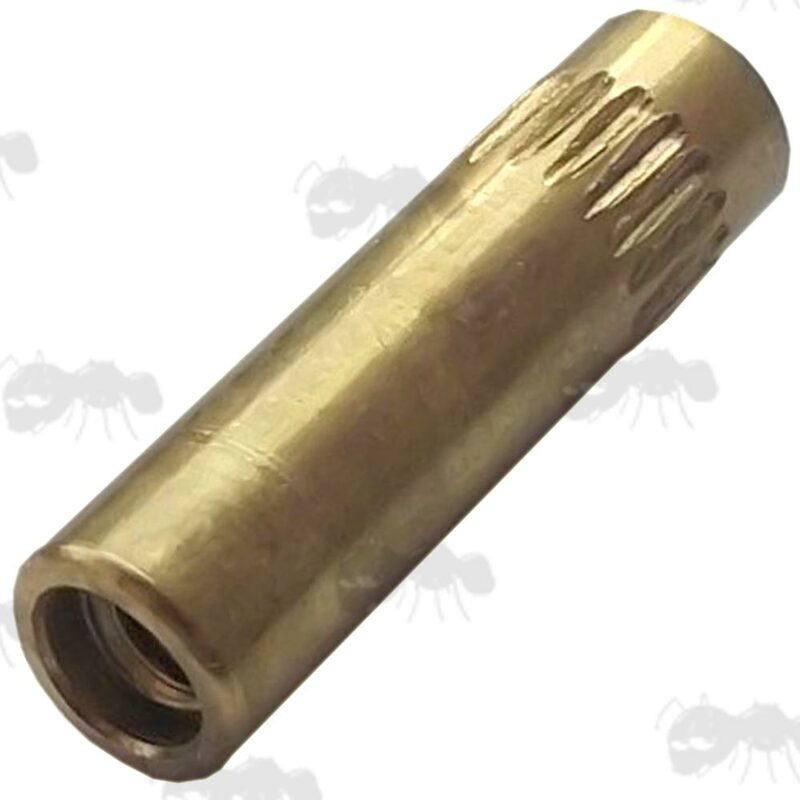 Also available ~ shotgun cleaning rod adapters, including rifle rod to shotgun rod adapters. Allows the use of larger 8/32 male threaded attachments on #5/40 threaded rods and cable pull-thru kits. So you can fit cleaning rod attachments from .22 cal and up, onto smaller .17 rods. #5/40 threaded attachments on #5/40 threaded rods and cable pull-thru kits. #8/32 threaded attachments the same threaded rods and cable pull-thru kits. UK .22 / 6.5mm barrel cleaning rods to accept American Standard #8-32 thread cleaning swab / brush accessories. It is a dual female adaptor, one end of the adaptor screws onto the male cleaning rod end (UK 5/32” x 32 TPI BSW), the other accepts American Standard #8-32 thread. UK .270 barrel cleaning rods to accept American Standard #8-32 thread accessories. It is a dual female adapter, one end of the adapter screws onto the male cleaning rod end, the other accepts American Standard #8-32 thread. Allows american female-threaded brushes and implements to be used with Parker-Hale female rifle cleaning rods.